In case you thought hacking of our critical infrastructure and SCADA systems only happens in the movies, like with Bruce Willis in Live Free or Die Hard, watch these unbelievable videos of what Max Corne seemingly does to the energy, maritime infrastructure, and highway transportation systems. Max apparently is able turn off (and on) the lights in entire office towers--one and then another, control a drawbridge (up and down)--and has people and cars waiting and backed up, and even changes traffic signals--from speeds of 50 to 5 as well the message boards to motorists. While I understand some have questioned the validity of these videos and have called them hoaxes, the point that I come away with is not so much whether this guy is or is not actually hacking into these computer and control systems as much as that the people and organizations with the right skills could do these things. And rest assured that there those out there that can perform these hack attacks--reference the Stuxnet worm that attacks Siemen industrial control systems such as those used in the nuclear industry (June 2010). I also heard a story that I don't know whether it is true or not, about how a cyber expert personally dealt with a very loud and unruly neighbor who was playing Xbox 360 at 3 AM and keeping him awake. So the cyber expert simply hacked into his neighbor's Xbox game over the Internet and set off a program that whenever his neighbor tried to play it, a timer would automatically turn the Xbox back off again (neighbor turns it on again, hack turns it off again....), until at one point, the cyber expert heard the neighbor pick something up (presumably the Xbox) and throw it against the wall. In this story, the damage was limited, in other cases as the Max Corne videos demonstrate (in terms of the realm of the possible), when hackers attack our critical infrastructure and control systems, the results can truly be life threatening, majorly disruptive, and can cause widespread chaos. 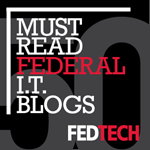 Every day, there are digital natives (in terms of their advanced computer skills) that are proving what they can do to bypass our firewalls, antivirus protection, intrusion detection systems, and more. While in the case of the hack attack on the Xbox, that was the end of the problem for the loud playing neighbor keeping this other guy up at night, but in general, the unbelievable ability of some hackers to break into major systems and manipulate controls systems and disrupt critical infrastructure is certainly no game, no laughing matter, and something that should keeps us up at night (Xbox playing or not). The takeaway is that rather than demonize and discourage those who have the skills to figure this "stuff" out, we should actually encourage them to become the best white hat hackers they can be with it, and then recruit them into "ethical hacking" positions, so that they work for the good guys to defeat those who would do us all harm. Ever since the battles of Windows versus Linux, there have been two strong competing philosophies on systems architecture. Many have touted the benefits of open architecture--where system specifications are open to the public to view and to update. Open sourced systems provide for the power of crowdsourcing to innovate, add-on, and make the systems better as well as provides less vendor lock-in and lower costs. While Microsoft--with it's Windows and Office products--was long the poster child for closed or proprietary systems and has a history of success with these, they have also come to be viewed, as TechRepublic (July 2011) points out as having an "evil, monopolistic nature." However, with Apple's rise to the position of the World's most valuable company, closed solutions have made a strong philosophical comeback. Apple has a closed architecture, where they develop and strictly control the entire ecosystem of their products. Closed systems provides for a planned, predictable, and quality-controlled architecture, where the the whole ecosystem--hardware, software and customer experience can be taken into account and controlled in a structured way. However, even though has a closed solutions architecture for it's products, Apple does open up development of the Apps to other developers (for use on the iPhone and iPad). This enables Apple to partner with others and win mind share, but still they can retain control of what ends-up getting approved for sale at the App Store. I think what Apple has done particularly well then is to balance the use of open and closed systems--by controlling their products and making them great, but also opening up to others to build Apps--now numbering over 500,000--that can leverage their high-performance products. Additionally, the variety and number of free and 99 cent apps for example, show that even closed systems, by opening up parts of their vertical model to partners, can achieve cost-savings to their customers. In short, Apple has found that "sweet spot"--of a hybrid closed-open architecture--where they can design and build quality and highly desirable products, but at the same time, be partners with the larger development community. Apple builds a solid and magnificent foundation with their "iProducts," but then they let customers customize them with everything from the "skins" or cases on the outside to the Apps that run on them on the inside. Closed-Open Systems represent a powerful third model for companies to choose from in developing products, and which benefits include those from both open and closed systems. 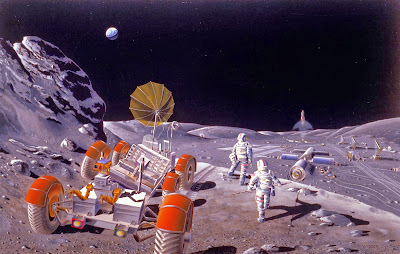 From 1984, you can see attached, a NASA's artist rendering of a colonized moon along with astronauts and lunar rover. One candidate, called for the lunar colony to be bustling with commercial activity by 2020--wouldn't that be amazing! While it was funny when this candidate said that once the colony reached 13,000 American inhabitants, they can petition to become a state, it also somehow brought it into a new perspective and made it so real--like could this really happen one day? CBS 60 Minutes had a great episode this past June called Cyber War: Sabotaging The System. The host Steve Kroft lays the groundwork when he describes information or cyber warfare as computers and the Internet that is used as weapons and says that "the next big war is less likely to begin with a bang than with a blackout." This news segment was hosted with amazing folks like Retired Admiral Mike McConnell (former Director of National Intelligence), Special Agent Sean Henry (Assistant Director of the FBI's Cyber Division), Jim Gosler (Founding Director of CIA's Clandestine Information Technology Office), and Jim Lewis (Director, Center for Strategic and International Studies). For those who think that cyber war is a virtual fantasy and that we are safe in cyberspace, it's high time that we think again. - When Retired Admiral McConnel is asked "Do you believe our adversaries have the capability of bringing down a power grid?" McConnell responds "I do." And when asked if the U.S. is prepared for such an attack, McConnell responds, "No." - Jim Gosler describes how microchips made abroad are susceptible to tampering and could "alter the functionality" of let's say a nuclear weapon that needed to go operational, as well as how they "found microelectronics and electronics embedded in applications that shouldn't be there." - Special Agent Henry talks about how thieves were able to steal more than a $100 million from banks in less than half a year, not by holdups but through hacking. - Jim Lewis tells of the "electronic Pearl Harbor" that happened to us back in 2007, when terabytes of information were downloaded/stolen from our major government agencies--"so we probably lost the equivalent of a Library of Congress worth of government information" that year and "we don't know who it is" who broke in. The point is that our computers and communications and all the critical infrastructure that they support--including our defense, energy, water, transportation, banking, and more are all vulnerable to potentially lengthy disruption. What seems most difficult for people to grasp is that the bits of bytes of cyberspace are not just ephemeral things, but that thy have real impact to our physical universe. Jim Lewis says that "it doesn't seem to be sinking in. And some of us call it 'the death of a thousand cuts.' Every day a little bit more of our intellectual property, our innovative skills, our military technology is stolen by somebody. And it's like little drops. Eventually we'll drown. But every day we don't notice." Our computer systems are vulnerable and they control virtually all facets of lives, and if the enemy strikes at our cyber heart, it is going to hurt more than most of us realize. We are taking steps with cyber security, but we need to quickly shift from a reactive stance (watching and warning) to a proactive posture (of prevention and protection) and make cyber warfare a true national priority. Interesting book review in the Wall Street Journal (18 January 2012) on Standards: Recipes for Reality by Lawrence Busch. Standards are a fundamental principle of enterprise architecture, and they can mean many things to different people--they can imply what is normal or expected and even what is considered ethical. - Predictability--You get whatever the standard says you get. - Quality--By removing the deviation and defects, you produce a consistently higher quality. 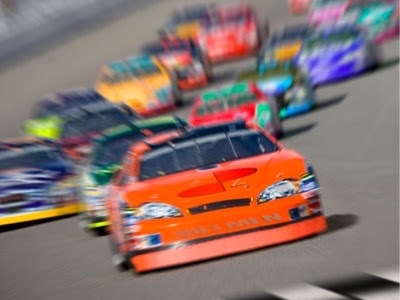 - Speed--Taking the decision-making out of the routine production of standardized parts (i.e. 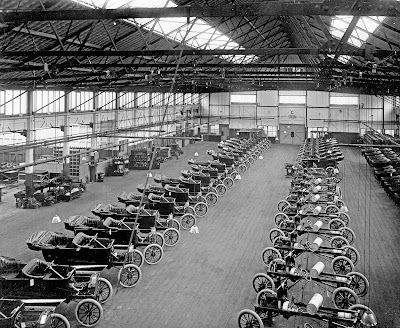 we don't have to "reinvent the wheel each time"), helps us to move the production process along that much faster. - Economy--Standardizing facilitates mass production and economies of scale lowering the cost of goods produced and sold. - Interoperability--Creating standards enables parts from different suppliers to inter-operate and work seamlessly and this has allowed for greater trade and globalization. - Differentiation--Through the standardization of the routine elements, we are able to focus on differentiating other value-add areas for the consumer to appeal to various tastes, styles, and genuine improvements. - Boring--This is the fear of the Ford Model-T that came in only one color, black--if we standardize too much, then we understate the importance of differentiation and as they say "variety is the spice of life." - Stagnation--If we over-standardize, then we run the risk of stifling innovation and creativity, because everything has to be just "one way." - Rigidity--By standardizing and requiring things like 3rd-party certification, we risk becoming so rigid in what we do and produce that we may become inflexible in addressing specific needs or meeting new requirements. The key then when applying standards is to maximize the benefits and minimize the risks. This requires maintaining a state of vigilance as to what consumers are looking for and the corollary of what is not important to them or what they are not keen on changing. Moreover, it necessitates using consumer feedback to continuously research and develop improvements to products and services. Finally, it is important to always be open to introducing changes when you are reasonably confident that the benefits will outweigh the costs of moving away from the accepted standard(s). While it's important to work off of a standard, it is critical not to become inflexible to change. Saturday Night Live had a funny skit last week about people in the future looking back at us in 2012 as "digital pioneers"--and how silly many of the things we do today looks from the outside. - Driving--We drive 1-4 hours a day and "are okay with that." 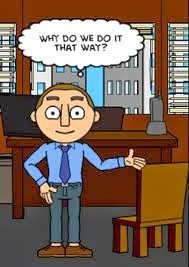 - Email--We boot up our computers, go to the Internet, log unto to our accounts, and send an email and think that "was so easy, fast, and convenient." - Clothing--We get dressed in underwear, shirts, pants, belt, socks, shoes, tie, and wrap it all under a jacket and feel that it's "not way too many pieces." - Bathrooms--We have bathrooms in our homes and have it close to where we eat and that "seems smart to us." There were other examples making fun of us eating fruits and vegetables, keeping domesticated animals in our homes, and thinking that living to the age of 91 is old. While we don't know exactly what the future will look like, when we look at our lives today "under the microscope"--things really do sort of appear comical. I believe that we really do need to look at ourselves--what we do, and how we do it--with fresh eyes--and ask why do we do that? And are there alternatives? Is there a better way? Too often we believe that the way things are--"is simply it"--when if we would just think how this would look to someone 100 years from now, perhaps we would be quicker to open our eyes to other options and innovations. It reminds me of the story in the Torah (Numbers 22) where Balaam is sent to curse the Jewish people but ends up blessing them. In this story the donkey that he is riding on refuses to proceed, because it sees an angel in front of them. Balaam does not see the angel and beats the donkey thinking that was the right thing to do. G-d then miraculously gives the donkey the power of speech and the donkey complains about the harsh treatment from Balaam, and G-d opens Balaam's eyes to see the angel, at which point he understands that the donkey really saved his life. This Biblical story is similar to our lives where we go along sort of blind to the realities right in front of us, and not only that but we keep pushing forward along the very same route not seeing the obstacles or other alternatives that may be better for us. While we (generally) don't have donkeys talking back to us with feedback or the ability to see angels, I think by sensitizing ourselves more, we can open ourselves up to question the status quo and break the paradigms that we just take as givens. 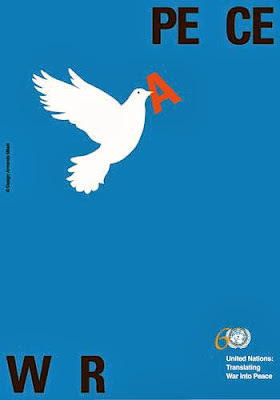 I like this clever poster from the United Nations, published in March 2009 by their Department of Public Information, on "Translating War to Peace" with a dove carrying the letter "A" from the word war to the word peace. If only peace was as simple as moving around a single letter. Usually, it not the single letter that is painful, but when it becomes many letters and these letters form words of hate, bigotry, intolerance, and injustice that is indeed painful and where war does not translate to peace, but where war become unfortunately inevitable. As individuals and a nation, I believe peace is what we all hope and pray for and that this comes from a spirit of brotherhood and unity around the world. Although there are many prayers for peace, I am reminded of one specific beautiful prayer In Judaism, that we sing called "Oseh Shalem"
"May he who makes peace in high places, make peace for all of us and all Israel, and let us say Amen." I love singing this and humming the tune for this prayer--it is like a deep calling that resonates. I noticed online that the United Nations "cancelled as a sales item" this poster for peace (and it's also gone from Amazon), and it should make us all wonder where did that peace go and when will it return? A genuine peace--more than a single letter and a secure and lasting peace of many letters. Love this product called The Aquaduct for helping people in developing countries get clean water. Using the power of pedaling, water that is loaded into the back of the bike is "cycled" through a filter and run into the clean container in the front. This can be done by actually riding the bike home with the water or refilling the clean container in stationary mode. The Aquaduct reminds me of some similar products that I saw and blogged about in July at a Peace Corps exhibit that used bicycles for shelling corn and charging cell phones. What's great about The Aquaduct is that is a simple, all-in-one solution that transports, filters, and stores water--it was the winning entry (out of 102) in the Google Innovate or Die competition. For 1.1 billion people without clean water in the world, The Aquaduct solves the problem for transporting and sanitizing water. In Judaism, we say "Mayim Chaim"--that water is life, and this innovative pedal-powered transit and filtration machine can help bring life-saving water to the masses. After seeing one of my colleagues with this souped-up cane at work this week, I learned that this is the special gift for someone reaching their 50th birthday. 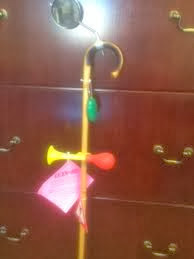 While I am no spring chicken anymore, I am still not old enough to receive my special cane--oh shucks! But this did give me pause to think about what it means as we get older and the weeks and months at work turn into years and decades. Before we know it, the up-hill climb of life, plateau and eventually heads in the other direction. It's not easy getting old(er), we all want to be back in our youth or prime of life, which my father calls the time period, "when the world is too small," and I think what he means is our aspirations are large. This week at work, I learned that one of my colleagues who retired just a few years ago passed away from one of the horrible "C's" -- it was terrible to hear this. Moreover, it reminded me of other colleagues who I have seen work hard their whole life, sacrificing and putting off all types of enjoyment, and waiting for that big day when they would retire and then they "could live the good life." And one guy, I remember, did retire after putting in his time and within about 3 months, he dropped dead of a massive coronary--I don't think he even made it with heart beating to the hospital. Life is too short! And of course, life is hard--that's how we are tested and grow--but we can't wait for the good times. We need to savor every moment of our lives, appreciate our loved ones , and enjoy what we do day-in and day-out. Else, we may miss the finest times that we have here on earth and then we really will be left holding that special cane and looking back at our lives in the rear-view mirror wondering why we wasted so much precious, precious time. This is an amazing video of Rollerman (Jean Yves Blondeau) in the extreme sport of roller blading horizontally like a rocket ship. With wheels on his arms, legs, hands, feet, chest and back, I understand that Rollerman can exceed 70 mph! See him in the video actually passing a driving motorcycle and following after and going under an armored personnel carrier on the go. Add a little rocket on the back and I see this sport may soon be going cross-country. Rollerman takes the curves and manuevers around obstacles and essentially clings to the road at these amazing speeds with ease. His courage and capability is inspiring. The Times, They Are a-Changin' is a song by Bob Dylan (1964), it is also the reality of our times today, and how we react to all the change can make or break us. Like with Agile Software Development, one of the main values is "responding to change over following a plan," to improve the success of software development, similarly in the world today, we need to be able to rapidly and flexibly respond to change in order to successfully compete. Fast Company (February 2012) has two important articles on this topic--one is called "Generation Flux" and the other "The Four-Year Career." Generation Flux is about how we are living in a time of "chaotic disruption" and that this is "born of technology and globalization." Generation Flux is a mindset of agility versus a demographic designation like Gen X or Y. All around us we see the effects of this rapid change in terms of business models and leadership turned upside down, inside out, and sideways. - Amazon, once an online book and music retailer has now become the premier e-Commerce company as well as the No. 2 in tablets and in the top 3 in cloud computing. - Apple was slick in developing the navigation wheel on the iPod only to get rid of it completely with the touch-screen of the iPad. - Facebook continues to adapt to security and privacy concerns, but still has more to do, especially in terms of simplifying choices for their users. According to Fast Company, to survive, we need to be profoundly agile and "embrace instability, that tolerates--and enjoys--recalibrating careers, business models, and assumptions." The article points out that this is just as Darwin has professed, ultimately it is the agile that will survive--not the strongest or smartest. For organizations, change, agility and adaptability is the name of the game, and they are depending on petabytes of information and the business intelligence to make sense of it all to make the right decision every day. For individuals, "the long career is dead" (U.S. workers have a medium job tenure of only 4.4 years and have an average of 11 different jobs over a lifetime) and "the quest for solid rules is pointless" (with automation and robotics atrophying low- and middle-skill jobs and part time, freelance, and contract work all on the rise). Now, in an agile marketplace, "career-vitality" or the continuous broadening of individual capabilities is encouraged and expected, and the "T-shaped" person with both depth or subject matter expertise as well as breadth in other areas in becoming more and more valued. Moreover, hard skills are important, but social skills and emotional intelligence are critical to get along, share information, and collaborate with others. Of course, not all change is good, and we need to speak up and influence the direction of it for the good, but in the end, standing still in the path of genuine progress is like standing in front of a speeding locative. While the quiet and serenity of maintaining the status quo is often what feels most secure and comfortable in uncertain times, it may actually just be the forerunner to the death knell for your career and organization. There are no short-cuts to continuing to learn, explore, and grow as the world around us rapidly evolves. Adapt and live or stagnate and die. While the title of this blog may be humorous, the subject matter is not. Not since Superman has humankind been so intent on creating the perfect shielded clothing. 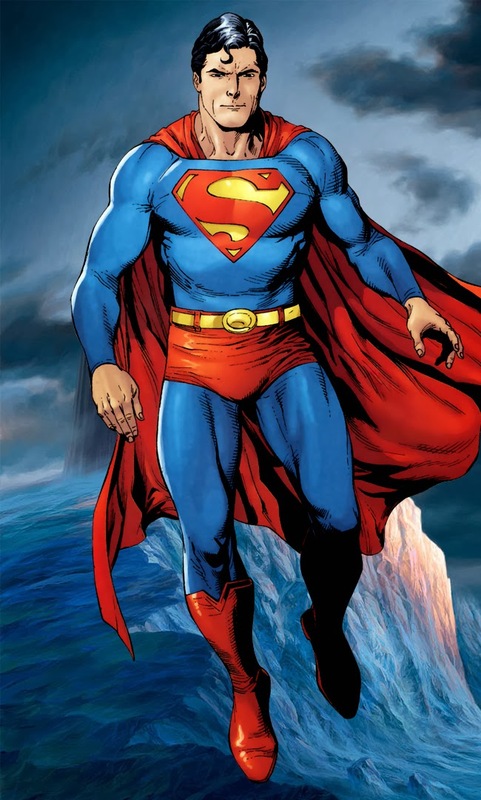 In superman's case, his bold blue and red outfit was lined with lead to protect him from the deadly radioactive Kryptonite, which came to earth in a meteorite from his exploded planet Krypton. Today, the U.S. armed forces are creating their own ever superior protective suits for its warfighters. In recent times, with the threats of improvised explosive devices in the wars overseas, the U.S. is seeking to enhance the protective armor of its underwear. In fact, according to Bloomberg Businessweek, "In 2010, 259 service members in war zones were injured in the genital area." The military's answer is a new protective bomb-resistant brief for men and women--sometimes called ballistic briefs or shrapnel shorts. The bomb-resistant briefs being tested traditionally were made from materials such as Dupont's Kevlar, however, the Department of Defense is finding that tightly-woven silk is much more comfortable. Due to the Berry Amendment of 1941 that requires the military to purchase food and uniforms from domestically produced material, the military is looking for a waiver in order to get the needed silk from Asia. Interestingly enough, unlike the Underwear Bomber who tried to use his underpants as a hiding place for explosives in 2009 to blow up a Northwest Airlines flight, the ballistic briefs are intended to protect people from explosive devices. The ballistic briefs are serious business--according to Bloomberg, the Army intends to buy 750,000 pairs and 250,000 cup protectors over the next 5 years. The stopping power of the new protective underpants would even make Superman jealous, although the DoD version doesn't come in bright colored red. 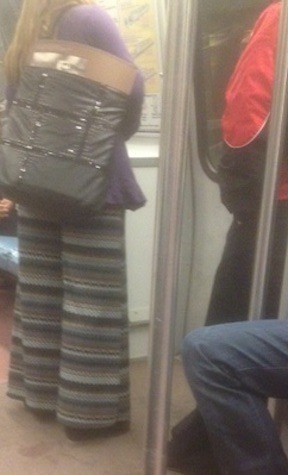 Outside of Hollywood and the entertainment industry, these are the coolest pants I have ever seen. Honestly, I've never quite seen any pants like these. But first impression--the 70's look is coming back in 2012. And while I am certainly no fashion guru, these pants were noticeably overflowing, had a wild circular pattern, a variety of colors and textures, and some heavy duty bell-bottoms. Most of all, what I think really struck me was how bold these pants were in what's traditionally a pretty conservative city, here in D.C. While I don't know this lady in the cool pants, I admired her ability to live loudly and capture the moment, unafraid of being who she is or wants to be. Labels: Alive, Bell Bottom, Bold, Color, Cool, Courage, Fashion, Freedom, Innovative, Pants, Self-actualization, Self-expression, Style, Texture, Washington D.C.
After a very busy week, I can really appreciate this video, called Move, where Rick Mereki and 2 friends travel 11 countries in 44 days. I love how fast yet seamless this video takes us around the world--like flying through space and time. There is so much to see and do and every moment is a blessing. My grandparents use to say, "where there is life, there is hope" and we are so fortunate to be alive and have the opportunity to change, grow, and self-actualize. And while real life is not as smooth as this video--whereever we are, let's try to enjoy the ride. This last week, we learned of the new defense policy that shifts the U.S. from a full two war capability to a "win-spoil" plan, where we have the ability to fight one war, but still disrupt the military aspirations of another adversary elsewhere. While we would all like to have unconstrained capabilities for both "guns and butter", budget realities do not permit limitless spending on anything or anytime. The Wall Street Journal (7-8 January 2012) had an interesting editorial that cautioned against reduced military spending and latched on specifically to focusing too much on the Asia-Pacific region and somehow neglecting other danger spots around the globe. Basically, the author says it is dangerous for us to put all our proverbial eggs in one basket. As he writes, this single-focus approach or "strategic monism" is predicated on our ability to accurately predict where the trouble spots will be and what defensive and offensive capabilities we will need to counter them. In contrast, the author promotes an approach that is more multifaceted and based on "strategic pluralism," where we prepare ourselves for any number of different threat scenarios, with a broad array of capabilities to handle whatever may come. What is compelling about this argument is that generally we are not very good at forecasting the future, and the author points out that "the U.S. has suffered a significant surprise once a decade since 1940" including Pearl Harbor (1941), North Korea's invasion of the South (1950), the Soviet testing of the Hydrogen bomb (1953), the Soviet resupply of Egypt in the Yom Kippur War (1973), the Iranian Shah's fall from power (1979), the Soviet Union collapse (1991), and the terrorist attacks of 9-11 (2001). Similarly, Fortune Magazine (16 January 2012) calls out "the dangers inherent in...long-term forecasting" and points how almost comically "the 1899 U.S. patent chief declares that anything that can be invented has been." The Fortune article goes on to say that a number of the experts interviewed for their Guide To The Future issue stated that "cyberterrorism, resource shortages, and political instability around the world are all inevitable." In short, the potential for any number of catastrophes is no more relevant now in the 21st century, than at any other time in history, despite all our technological advances and maybe because of it. In fact, Bloomberg Businessweek (19-25 December 2012) actually rates on a scale of low to high various threats, many of which are a direct result of our technology advancement and the possibility that we are not able to control these. From low to high risk--there is climate change, synthetic biology, nuclear apocalypse, nanotechnology weaponry, the unknown, and machine super intelligence. Note, the second highest risk is "unknown risks," since they consider "the biggest threat may yet be unknown." So while risks abound and we acknowledge that we cannot predict them all or forecast their probability or impact accurately, we need to be very well prepared for all eventualities. But unfortunately, being prepared, maintaining lots of options, and overall strategic pluralism does not come cheaply. In fact, when faced with weapons of mass destruction, threats to our homeland, and human rights abuses is there any amount of money that is really enough to prepare, protect, and defend? There is no choice but to take the threats--both known and unknown seriously--and to devote substantial resources across all platforms to countering these. We cannot afford to be caught off-guard or prepared to fight the wrong fight. Our adversaries and potential adversaries are not standing still--in fact, they are gaining momentum, so how much can we afford to recoil? We are caught between the sins of the past in terms of a sizable and threatening national deficit and an unpredictable future with no shortage of dangers. While everyone has their pet projects, we've got to stop fighting each other (I believe they call this pork barrel politics) and start pulling for the greater good or else we all risk ending up on the spit ourselves. There is no option but to press firmly on the accelerator of scientific and technological advancement and break the deficit bounds that are strangling us and leap far ahead of those who would do us harm. OMG, I must still be a New Yorker at heart--I love it. People coming together, randomly on a NYC subway and playing beautiful music together. Over the holidays, I was fortunate to be able to spend some time in South Florida--one of my favorite East Coast vacation spots. Between the sunshine, the ocean, the palm trees, and more generally the beautiful flora and fauna--I am one happy camper! This time, we actually saw a couple of pretty large iguanas just casually walking along the causeway...not something I see everyday in D.C. When I'm down in Florida--aside from working out and having a good time--one of the fun things for me to do is just to "people watch." People come from all over the world--the "Spring Breakers" who party hearty, the South Americans investing in real estate market, the Europeans still enjoying the strong Euro, and of course, many U.S. family "snowbirds" who come for Disney and the other attractions in the warm climate. In Florida, it is hard not to notice the wide discrepancy between rich and poor--I saw what looked almost exactly like the TV image of an extraordinarily rich man in the open collar and blazer and women in fancy hat and scarf in a Rolls Royce with a little white dog sitting on the lady's lap--these two were just "perfect" and apparently had the perfect life going on. At the same time, there are so many unfortunate people walking around in tattered clothes, eating from the garbage, and so on, it is heart-breaking and scary. When the Occupy movement rails against the 1%--I think this is sort of what they must mean. Then there are the proverbial weirdos--nothing personal--but these are the folks who are do things either for the attention, a little extra cash, or because they may just be at the other end of the "normal" spectrum (would that be a political correct to say it?). There is the guy who bikes around town with a live chicken on his handlebars, the mime lady in white (head to toe) who stands like a statue all afternoon and evening for some pocket change, and then this guy pictured on the blog who walks around in a pink bikini and red handbag (yes, quite a fashion statement, indeed!). I wonder whether back home, there are equally strange and interesting people all around, but I'm just not noticing them the same way, because I'm busy with daily life, in "work mode" and not sitting around on vacation just "taking it all in." It's good to stop a while and "smell the roses" and see the variety of beautiful and interesting things all around us--even if they shouldn't be wearing that bikini in public! While the Internet, with all its information, is constantly changing with updates and new information, what is great to know is that it is being preserved and archived, so present and future generations can "travel back" and see what it looked liked at earlier points in time and have access to the wealth of information contained in it. This is what the Internet Archive does--this non-profit organization functions as the Library of the Internet. 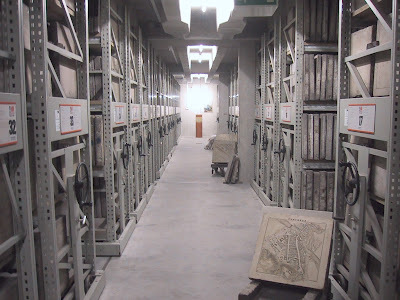 It is building a "permanent access for researchers, historians, scholars, people with disabilities, and the general public to historical collections that exist in digital format." In the Internet Archive you will find "texts, audio, moving images, and software as well as archived web pages" going back to 1996 until today. I tested the Archive's Wayback Machine with my site The Total CIO and was able to see how it looked like back on October 24, 2010. It is wonderful to see our digital records being preserved by the Internet Archive, just like our paper records are preserved in archives such as The Library of Congress, which is considered "the world's most comprehensive record of human creativity and knowledge"), The National Archives, which preserves government and historical records, and The National Security Archive, a research institute and library at The George Washington University that "collects and publishes declassified documents through the Freedom of Information Act...[on] topics pertaining to national security, foreign, intelligence, and economic policies of the United States." The Internet Archive is located in San Francisco (and my understanding is that there is a backup site in Egypt). The Internet Archive is created using spider programs that crawl the publicly available pages of the Internet and then copy and store data, which is indexed 3 dimensionally to allow browsing over multiple periods of times. 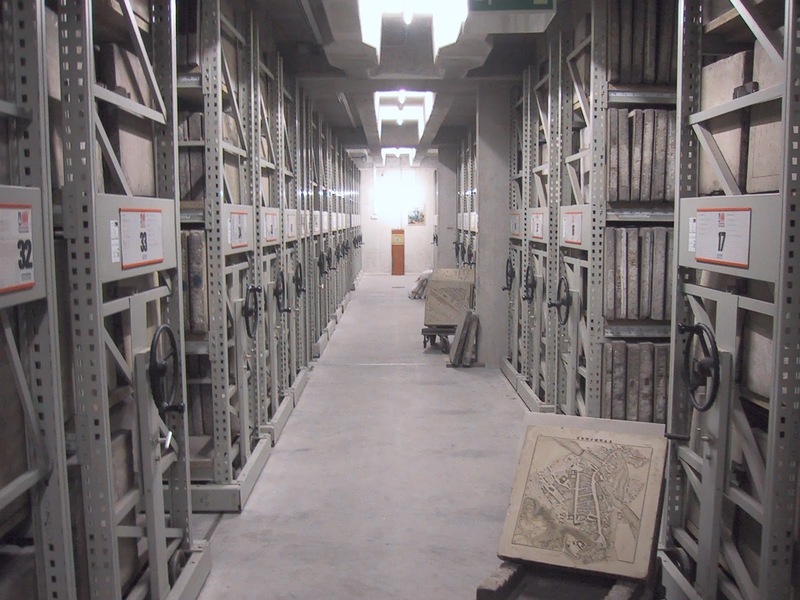 The Archive now contains roughly 2 petabytes of information, and is growing by 20 terabytes per month. According to The Archive, the data is stored on hundreds (by my count it should be about 2,000) of slightly modified x86 machines running on Linux O/S with each storing approximately a terabyte of data. According to the FAQs, it does take some time for web pages to show up--somewhere between 6 months and 2 years, because of the process to index and transfer to long-term storage, and hopefully the process will get faster, but in my opinion, having an organized collection and archiving of the Internet is well worth the wait. Ultimately, the Internet Archive may someday be (or be part of) the Time Capsule of human knowledge and experience that helps us survive human or natural disaster by providing the means to reconstitute the human race itself. It's a new year--2012--congratulations, we made it! For the new year, I wanted to share this photo that I came across of "The World's Largest Monopoly Game." 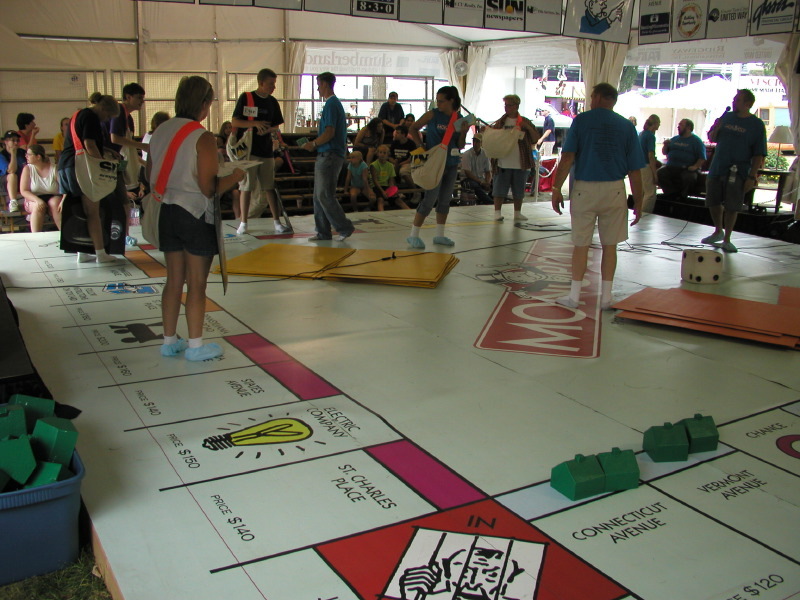 To me, the most striking aspect of this photo is not the size of the game board, but that the people are actually the pieces. So often life seems like we are pieces in a big game--as if someone is spinning the dice of life and depending on what number comes up--so goes our fortune. But inside, I don't really believe that--that is too fatalistic and too defeatist. At the same time, I don't believe that we are in control of everything that happens every moment. To me, there are larger forces at work--emanating from G-d, and we must "play" the hand we are dealt. G-d sends us tests and trusts in life, as Rick Warren says--we do not directly control these. The tests and trusts give us the opportunity to grow beyond what we are today, to learn life's hard lessons, to care for others, and ultimately to elevate ourselves. Indirectly, how we do and how well we learn life's lessons--sometimes "hard knocks"--may influence the nature of the future tests and trusts that G-d sends us. In Monopoly, the roll of the dice or the Chance and Community Chest cards seem to determine our fate--how many spaces we move ahead, how much we have to pay or how much we receive, or whether we end up in the proverbial Monopoly jail. In contrast, in real life, we have the power to choose how we react to to those "chance" events--do we get angry, do we lash out, do we become defeatist or do we fight for what we want and really believe in. For the New Year, what a great time to resolve to take back some control over lives and to not just be like human pieces in a big game of Monopoly--to choose instead to accept the tests and trusts that you are give and to do the best that you can to grow from them. This morning, I heard Joel Osteen say on TV that we should prophesize good for ourselves, so that our words can open the door for G-d to bless us. While, I do not think that our words of desire control what G-d does, I do believe that how we act does influence events, although not always in the way we think. There is the age old question of why do the evil prosper and the good people suffer? Often, I've heard various answers given that either we don't really know who is good or evil, we can't understand G-d's plan, or the real reward and punishment is in the World to Come. However you see it--G-d's plan and ultimate justice--what we can constructively do is to try our best everyday and in every way--what a better plan than just circling the Monopoly board like a helpless and hapless piece in one big game.